Cornelia Kiss has worked in the film industry for three decades and served in many different roles. Most recently she directed and produced three documentaries (two of which were shot in Afghanistan) and served as an editor of "Beyond the Felt," a reality series about stars of the Las Vegas poker scene that is airing in the U.K. and Canada. 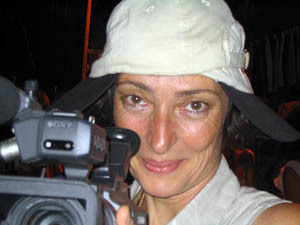 Kiss has served as co-editor and post production coordinator on several documentary and industrial projects. She also has worked with various writers in developing feature film scripts, often serving as a story editor. Earlier in her career, Kiss cast independent features, line produced European films and television series and spent a number of years as an actress in theater and independent films.